Use Our Web Dashboard to Run Your Business—Free! Every small business needs a central place to see how things are going: how much they’ve made this year, whether it’s been a good month, how much money they’re owed, and other financial information. There are a number of expensive options for these business dashboards—but we offer one for free! The SmartTrade web dashboard is a great place to keep an eye on your business. It uses a simple interface to let you easily get all the data you need without overwhelming you with too many numbers and figures. 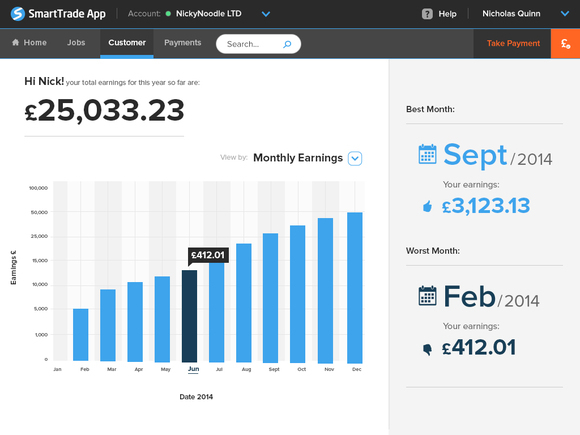 Featured prominently on the screen is the monthly earnings, which gives you a good idea of how the current year has been for your business. It also highlights your highest- and lowest-earning months of the year. The more information you have, the better. 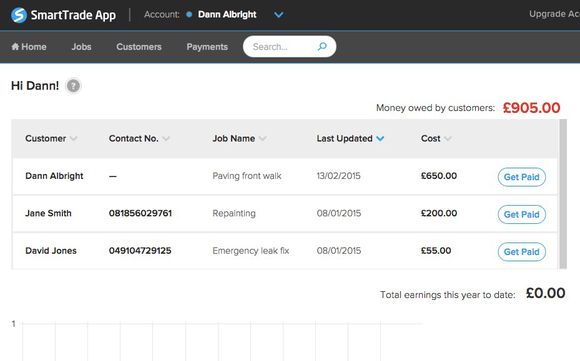 When you have unpaid invoices, they’ll be highlighted at the top of the overview screen, so you’ll remember to follow up on any outstanding debts. These pieces of information let you quickly get an idea of how things are going for your business and the steps you should take to earn more. And of course, the web dashboard also gives you access to your customer list, your jobs and invoices, the ability to take payments over the phone, and all of the other details that you need to run your business. With all of these useful pieces of information on the web dashboard—for free—why haven’t you tried it yet? There’s nothing to lose! Sign up and try it out today.